Hello, Summer. Go ahead and try to kill me with your heat. I'll be too busy swimming and eating grilled food to notice. My man gets his grilling skills from his father. Both men are masters at cooking things to a smoky perfection, and it satisfies my soul. We started with grilled mussels and moved onto this main course. 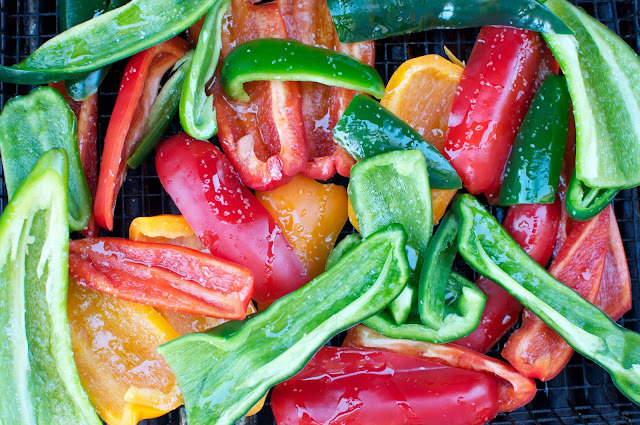 First up…grilled peppers (look at those colors!!!) Bell peppers (Green, yellow and red) as well as a few sweet anaheims and spicy poblanos and jalapenos. Slice peppers, remove the ribbing and seeds, toss with olive oil, salt and pepper, and grill in basket for about 10 minutes. 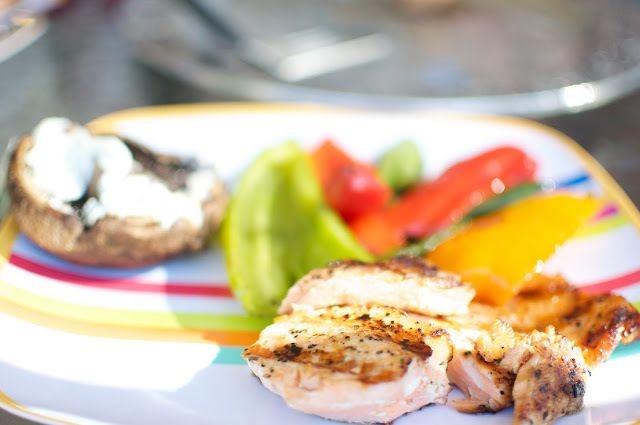 And now for the star of the show…Grilled Lemon Pepper Salmon. 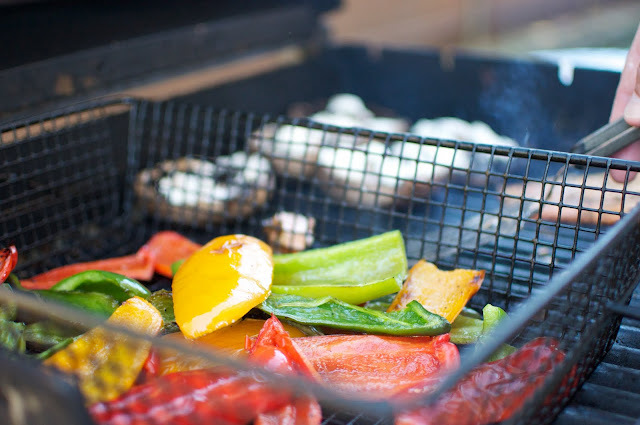 Simply top with lemon pepper and you're ready to grill. The guys have a crazy ability to grill the fish until it is flakey but still pink and juicy. Heaven. 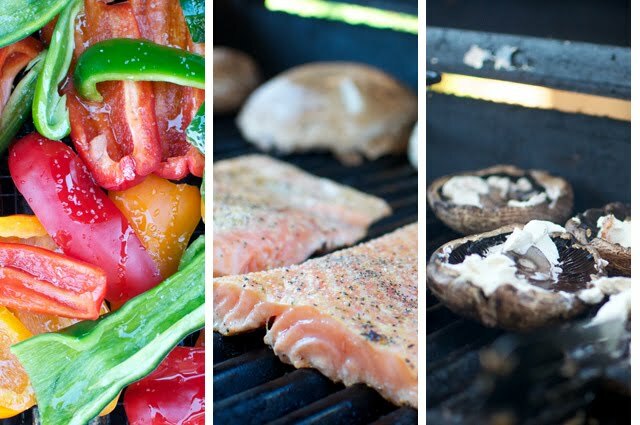 And I am of the firm opinion, that no grilled meal is complete without Portobello mushrooms. Clean with a wet paper towel, and brush with olive oil and a sprinkle of salt and pepper. Some people remove the stem, but I leave it on. More mushroom goodness to enjoy. Grill both sides for about 3 minutes. Remove from grill and top with goat cheese. This final picture doesn't show the Corona I was enjoying, but I highly recommend an icy cold one with a lime.